Each month, I'm doing a different activity to keep my chosen word for 2014 in the forefront. You can see January's project HERE. This month I'm sharing how I've turned the age old adage, actions speak louder than words, into something tangible. Since I have plenty of pretty paper lying around, I decided I'd put some to use in a different way and make origami stars. I place one each day in a jar, because there are 3 actions, that while they only take a moment, have quite a large impact on those closest to me and how I see the world around me. The hubs and I exchange an I love you at the beginning and end of every day, I make time to play with Pound Cake, and I take my photo a day. In addition to my daily star, I toss another in the jar whenever I've made a conscious effort to pause. Some reasons I've added stars for lately are, reaching out and setting a date with a girlfriend, making a donation at a local vet, taking a deep breath while driving and reminding myself that I'm not in that much of a hurry, and letting a friend know I was thinking of them. 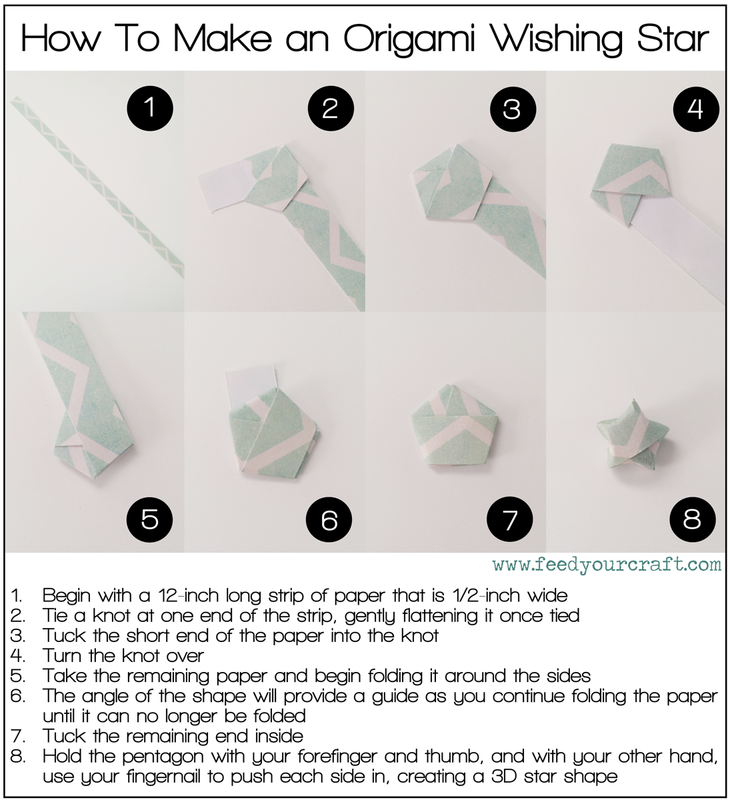 In case you're interested in how they're made, here are instructions for these cute origami stars. If you chose a word for 2014, how have you been focusing on it? Such a cute project! :) Awesome! An inspiring goal and an excellent way to remind yourself to stick to it. Get out! Those are the cutest little puffy stars!! I've never seen them before and they are adorable. I admire the things you are doing and I need to remind myself to do some of them as well - thanks for the inspiration! They look like candy!! What a wonderful way to visualize your word! Very inspirational! whoa these are so cute! i pinned it for later! awesome! Your stars turned out perfectly. I have made them in the past, but they didn't look this awesome. Elise these are such a great project, and a great way to incorporate your word. What a beautiful way to remember your Word for the year - I love it! 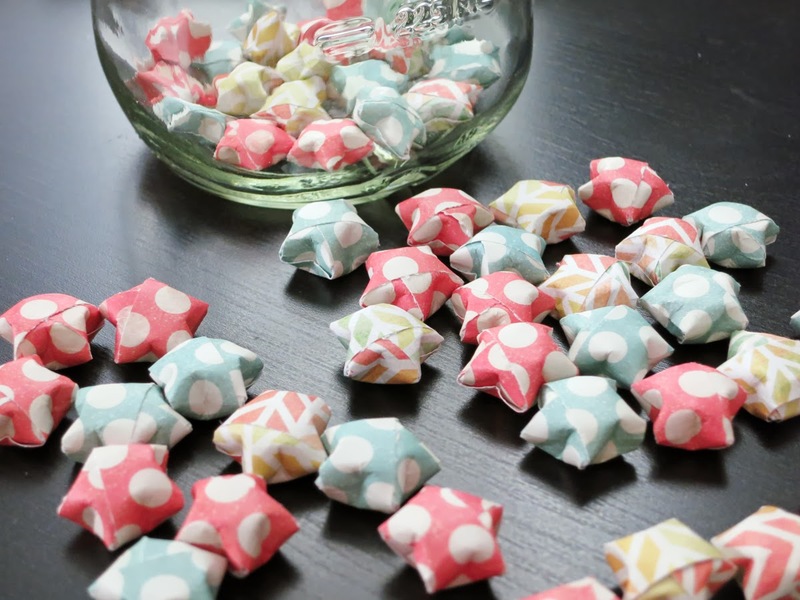 And I love these stars - I pinned something similar forever ago and have been wanting to make some to go in an apothecary jar in my living room. I love how you have made your word tangible. I finally made my layout and now I am looking for more hands on projects.